The Tucson City Council was scheduled to vote on two ill-conceived ordinances at their St. Patrick’s Day meeting this week. The Crowd Management Event ordinance would have given the police chief considerable discretion in controlling groups of 100 or more people. The second ordinance would have outlawed urban camping on all city property, thus criminalizing the homeless. When word got out via email blasts, Facebook posts, and the blogs, public outrage built against these two measures. Social media posts called for protests and for phone-calling to Council members. A Facebook event to protest the Crowd Management Event ordinance had more than 100 potential attendees on Monday afternoon. An hour before the protest, the Tucson Sentinel reported that the city had taken that ordinance off the agenda. Before the Tuesday meeting, 20-30 homeless and homeless advocates gathered outside of the Council chambers. When I arrived with my video camera, one of my homeless Facebook friends told us that Councilman Steve Kozachik had talked with them just a few minutes earlier and said the camping ban ordinance would be tabled. We went into the meeting anyway because my husband and I had both planned to speak against the ordinances. Between us we represent two major progressive groups– PDA Tucson and the Arizona Democratic Progressive Caucus– and we wanted the City Council to know that progressives stood against both of these measures. When we got inside, Mayor Rothschild came up to us to let us know that both ordinances had been pulled from the agenda. 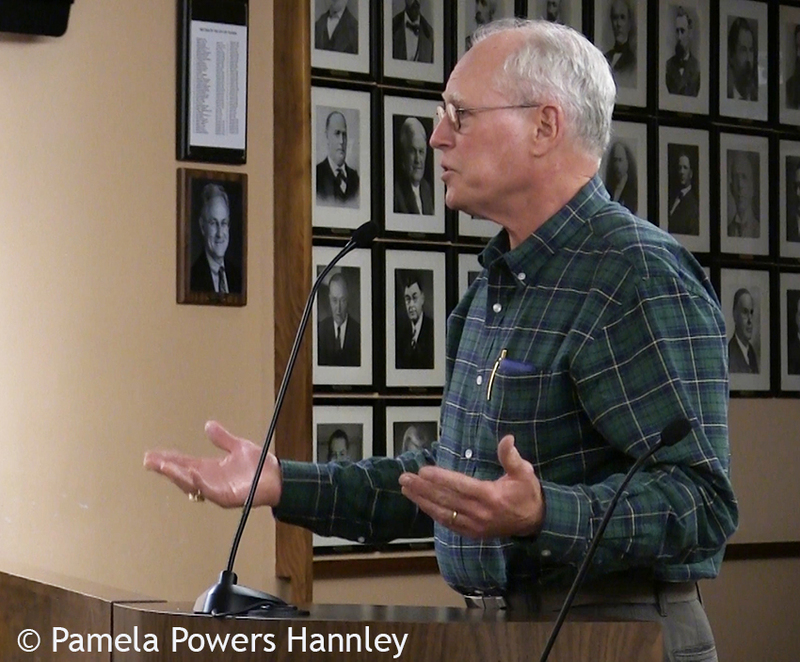 The Mayor and Council seemed eager to let everyone know that the ordinances would not be heard or voted on that night. Good but we didn’t leave. The question remains regarding how these measures got on the agenda in the first place. Homeless criminalization ordinances have been popping up in cities across the country. Is there is an ALEC-style group providing right-wing “model legislation” to cities? On the same night– St. Patrick’s Day, a day when people usually aren’t paying attention– the City of Berkeley also voted on homeless criminalization ordinance and passed it, despite the people’s calls for compassion for the homeless and despite research studies that show criminalization doesn’t work and costs more. In my opinion, this is too much of a coincidence. It sure looks as if the Tucson City Council– unlike the Berkeley City Council– bowed to public pressure, which is a good thing. I like it when government listens to the people.